The airport bookshop of Schmitt & Hahn is located in Ladenstraße between Departure 1 and 2 and in the waiting area after the security check. The assortment consists of paperbacks of all genres, children's books, guidebooks, travel guides and English paperbacks. In addition to a number of magazines, special interest magazines and television newspapers, there are also international press, as well as current daily newspapers. Cards, calendars and a selection of sweets round off the product range. 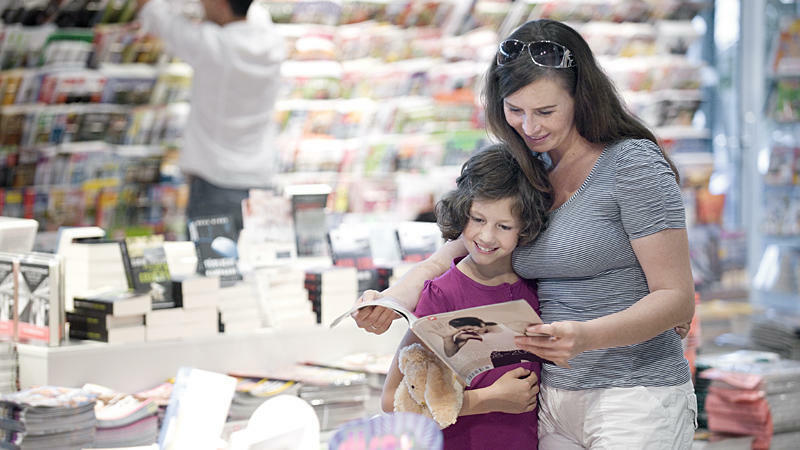 So that you also have the opportunity in the waiting area after the security check to buy a suitable reading for the flight or your journey, there is also a branch of press and book there. It contains a similar assortment of books and magazines.